Can there be a godless morality? Can we assert a superiority for a godless morality over traditional, theistic, and religious morality? Yes, I think that this is possible. Unfortunately, few people even acknowledge the existence of godless moral values, much less their significance. When people talk about moral values, they almost always presume that they have to be talking about religious morality and religious values. The very possibility of godless, irreligious morality is ignored. Does Religion Make One Moral? One common yet false assumption is that religion and theism are necessary for morality — that without belief in some god and without belonging to some religion, it’s not possible to be moral. If godless atheists follow moral rules, it’s because they have “stolen” them from religion without accepting their religious, theistic basis. It’s obvious, though, that religious theists commit immoral actions; there is no known relationship between being religious or being a theist and being more moral. 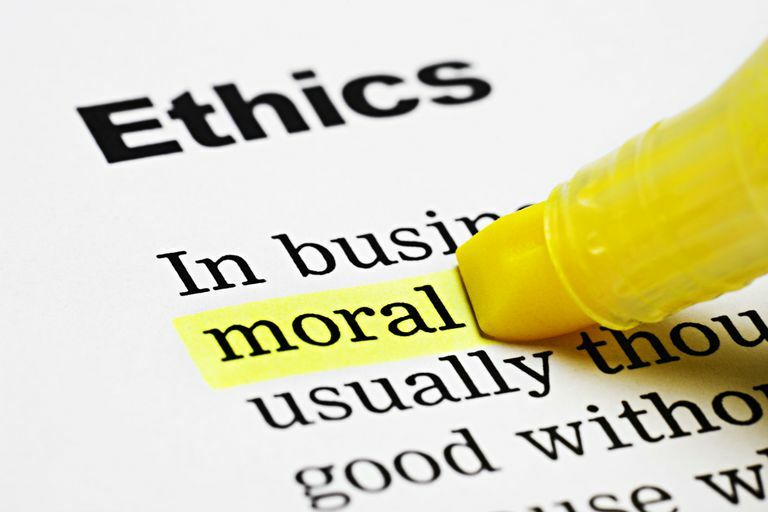 Does Being Moral Mean One Is Religious? Even more insulting is the common assumption that when someone does something moral or generous, then it’s a sign that they must also be a religious person. How often has a person’s generous behavior been greeted with a “thank you” that includes something like “that’s very Christian of you.” It’s as if “Christian” were a normal label for simply being a decent human being — which suggests that such decency doesn’t exist outside of Christianity. Religious, theistic morality is inevitably based, at least in part, on some version of “divine command” theory. Something is moral if God commands it; immoral if God forbids it. God is the author of morality, and moral values cannot exist outside of God. This is why acceptance of God is necessary to be truly moral; acceptance of this theory, however, probably inhibits real morality because it denies the social and human nature of a moral behavior. Morality is necessarily a function of social interactions and human communities. If a single human being lived on a remote island, the only sorts of “moral” rules that might be followed are whatever they owe to themselves; it would be strange, though, to describe such demands as “moral” in the first place. Without any other people to interact with, it just doesn’t make sense of think about moral values — even if something like a god exists. Morality is necessarily based upon what we value. Unless we value something, it makes no sense to say that there is a moral requirement that we defend it or prohibit harm from coming to it. If you look back over moral issues which have changed, you will find in the background larger changes in what people value. Women working outside the home changed from being immoral to moral; in the background were changes in how women were valued and what women themselves valued in their lives. If morality is indeed a function of social relationships in human communities and based upon what human beings value, then it follows that morality is necessarily human in nature and origin. Even if there is some god, this god is in no position to determine the best ways to conduct human relationships or, more importantly, what human beings should value or not value. People might take a god’s advice into account, but ultimately we humans are responsible for making our choices. Most human cultures have derived their morality from their religions; more than that, however, human cultures originally codified their morality in religious scriptures to ensure their longevity and to give them extra authority through divine sanction. Religious morality is thus not a divinely ordained morality, but rather ancient moral codes which have persisted far beyond what their human authors could have predicted — or perhaps desired. There are always variations between the moral values held by individuals and the values required of an entire community, yet what moral values are legitimate to impose on a community defined by religious pluralism? It would be wrong to single out any one religion’s morality to elevate above all the other faiths. At best we could pick those values which all have in common; even better would be to employ secular moral values based upon reason rather than any religions’ scriptures and traditions. There was a time when most nations and communities were ethnically, culturally, and religiously homogenous. This allowed them to rely upon common religious principles and traditions when crafting public laws and public moral requirements. Those who objected could be either suppressed or ejected with little problem. This is the historical background and context of the religious moral values which people still try to use as a basis for public laws today; unfortunately for them, nations and communities are changing dramatically. More and more, human communities are becoming ethnically, culturally, and religiously diverse. There is no longer a single set of religious principles and traditions which community leaders can unthinkingly rely upon for crafting public laws or standards. This doesn’t mean that people won’t try, but it does mean that in the long run they will fail — either their proposals won’t pass, or if the proposals pass they won’t gain enough popular acceptance to stand. In place of traditional moral values, we should instead rely upon godless, secular values which are themselves derived from human reason, human empathy, and human experience. Human communities exist for the benefit of human beings, and the same is true for human values and human morality. We need secular values as a basis for public laws because only godless, secular values are independent of the many religious traditions in a community. This doesn’t mean those religious believers who act on the basis of private religious values have nothing to offer public discussions, but it does mean that they cannot insist that public morality should be defined according to those private religious values. Whatever they believe personally, they must also articulate those moral principles in terms of public reason — to explain why those values are justified on the basis of human reason, experience, and empathy rather than acceptance of the divine origins of some set of revelations or scriptures.